Public funding for sport venues has long been a sore spot in Arizona politics and public discourse. At present, the city of Glendale is particularly burdened, owing large sums for the right to host the Arizona Coyotes and may not recoup its investment in MLB spring training complexes. University of Phoenix Stadium, despite hosting two Super Bowls, a Final Four, and eight NFL games per year, has not generated the economic impact necessary to offset Glendale’s other liabilities, forcing the city to layoff employees and cut services. This comes as no surprise to sports economists, who have long decried the supposed economic benefits of sports venues and public support of their construction. And the financial situation looked even bleaker until a recent decision by the Arizona Court of Appeals. The ruling came in the long-running Saban Rent-A Car case, which challenged one of the key funding mechanisms for Arizona’s sports venues—rental car taxes. Though the court found the taxes constitutional, the debate over the wisdom of public support of stadium construction and the legacy of Arizona’s heavy investment in sports venues remains unsettled. This article discusses the history of stadium financing in the state before detailing the Saban Rent-A Car case and its impact on the future of such financing. Arizonans’ approval of taxpayer support for sports venue construction has oscillated in the last several decades. In 1989, Maricopa County voters simultaneously approved a referendum requiring a vote on any publicly funded sports stadium project valued at $3 million or more and rejected a sales tax that would have provided financing for a baseball venue (which local leaders hoped would attract a MLB franchise). Also passed in that year’s legislative session, however, was a law permitting the Maricopa County Board of Supervisors to levy a county sales tax to raise funds for a baseball stadium—and without voter approval. In subsequent years, the state lawmaker who introduced the sales tax legislation, along with Jim Bruner, a member of the Board of Supervisors, successfully lobbied then-Suns owner Jerry Colangelo to bring a baseball franchise to Phoenix. With Colangelo closing in on a successful expansion bid, the Board instituted the sales tax increase allowed by the 1989 legislation in order to fund what would become Bank One Ballpark (now Chase Field). The one-quarter of one cent sales tax was in effect from April 1, 1995 until December 1, 1997 and was originally intended to finance $238 million of the $364 million project; Bank One Ballpark, which opened March 1998, ultimately cost closer to 400 million (though inextricably linked, the relationship between the Diamondbacks and Maricopa County is now icy, with the two sides still locked in a battle over stadium repairs—a conflict that may push the team out of Chase Field). A year later, in 1999, Mesa residents also rejected a sales tax increase that was to fund a mixed-use development that would have included a new stadium for the Arizona Cardinals, which were then playing at Sun Devil Stadium. In the wake of the failed referendum, Arizona governor Jane Hull commissioned a “Stadium Plan ‘B’ Advisory Task Force” whose goal was to find a new home for the Cardinals. The task force found that losing the Cardinals and the Fiesta Bowl and the inability to host a Super Bowl regularly would deprive the local economy of hundreds of millions in economic impact dollars. Further, it was concluded that other warm-whether areas, particularly Las Vegas, were in an increasingly better position to poach Arizona’s sports teams, including its spring training tenants. As suggested by the task force, the Arizona legislature then passed Senate Bill 1220 (codified as A.R.S. § 5-839(B)(1)), which created the Arizona Tourism and Sports Authority (“AzSTA”). Months after AzSTA’s founding, Maricopa County voters narrowly approved Proposition 302, which levied a 30-year, 3.25 percent tax on “the gross proceeds or gross income” of rental car companies (a $2.50 tax was assessed on cars rented as a “temporary replacement” for another vehicle). 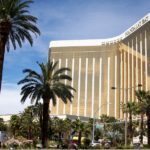 The referendum also instituted a 1 percent tax on hotel room sales, to be paid by the hotel operator. The primary use of these levies, according to information distributed to voters, was to “pay the annual principal and interest owed on a portion of the bonds issued by (AzSTA) for construction of the multipurpose stadium facility in Maricopa County.” That stadium, now known as University of Phoenix Stadium, was completed in 2006 at a cost of $455 million ($100 more than originally estimated). To date, AzSTA and the Valley’s constituent communities have managed to retain their major sports teams and events—but at significant cost. Complicating the ability of AzSTA to fund the major stadium projects it’s launched have been a number of legal challenges to the constitutionality of SB 1220, including the Saban Rent-A Car suit, which sought to invalidate the rental car tax. After failing to defeat the tax in an administrative action, Saban Rent-A Car in November 2010 sued the Arizona Department of Revenue (ADOR) and AzSTA in tax court alleging both federal and state constitutional violations. Saban posited that § 5-839’s de facto disparate treatment of Arizona and non-Arizona residents with respect to renting vehicles (levying a greater tax on rental car transactions than on temporary replacement car transactions) violated the dormant Commerce Clause, which generally prohibits interference with interstate commerce. Saban cited numerous statements from Hull and lawmakers explaining that the intent of the taxes was to transfer, to the greatest extent possible, the burden for stadium funding to non-residents. It was also argued that the rental car tax violated Article IX, Section 14 of the Arizona constitution, which barred taxes from “fees, excises, or license taxes relating to registration, operation, or use of vehicles on the public highways or streets or to fuels or any energy resource used for the propulsion of vehicles on the public highways or streets” from being used for anything “other than highway and street purposes.” On behalf of a class of rental car companies, Saban sought a refund of the taxes it had paid under § 5-839 and an injunction prohibiting further collection of the rental car tax. The tax court held the rental car levy in violation of the Arizona constitution and ordered a refund to the rental car companies while dismissing the dormant Commerce Clause theory. That ruling was later upheld in Maricopa County Superior Court in 2015. ADOR and AzSTA appealed, arguing the taxes levied under § 5-839 did not “relat[e] to registration, operation, or use of vehicles” and therefore did not offend Article IX. Saban also appealed, seeking to undo the adverse dormant Commerce Clause finding. In an opinion filed March 13, 2018, the Arizona Court of Appeals reversed the lower courts’ decisions, upholding the constitutionality of § 5-839 and voiding the refund. The rental car taxes, the appeals court reasoned, did not “relat[e] to registration, operation, or use of vehicles” because “the taxable event that triggers the surcharge is the rental of a vehicle, not its operation or use.” (emphasis in original) Also significant in the appeals court’s opinion is that, prior to the passage of Article IX, Section 14 of the Arizona constitution in 1952, the state was already collecting taxes on rental car companies that were not earmarked for road purposes. And because materials distributed to voters regarding Section 14 made clear the statute would “entail no change in the source or expenditure of highway revenues,” the court found that taxes on rental car companies did not fall within the ambit of § 5-839. The court rejected Saban’s wide reading of the phrase “relating to,” finding a broad interpretation would render meaningless the remainder of the statute and invalidate other vehicle-related taxes not at issue in Saban. Saban’s dormant Commerce Clause arguments were again dismissed. It is unclear whether Saban will appeal the ruling, especially in light of its own recent legal woes. Despite Saban’s preservation of AzSTA’s primary funding source, the Authority still may not be able to meet its financial obligations before the Proposition 302 taxes sunset in 2031. Nearly $165 million alone is owed to the cities of Glendale and Goodyear for their construction of spring training complexes, but officials doubt those reimbursements will be issued . Glendale is only now emerging from years of budget deficits, driven primarily by its sports investments. Given this and the recent reluctance of the local public to commit financial support for stadium projects for the Suns, Coyotes, and Diamondbacks, Maricopa County’s era of public financing of sports venues—marred by controversy and debt—may be coming to a close. Travis Waldron, The Super Bowl Comes To Glendale, The City Ruined By Sports, ThinkProgress (January 30, 2015), https://thinkprogress.org/the-super-bowl-comes-to-glendale-the-city-ruined-by-sports-92e8a251a842/. Pat Garofalo and Travis Waldron, If You Build It, They Might Not Come: The Risky Economics of Sports Stadiums, The Atlantic (September 7, 2012), https://www.theatlantic.com/business/archive/2012/09/if-you-build-it-they-might-not-come-the-risky-economics-of-sports-stadiums/260900/. Peter Corbett, Arizona cities could lose $100M in baseball stadium funding, The Arizona Republic (August 16, 2014), https://www.usatoday.com/story/news/nation-now/2014/08/15/glendale-goodyear-hundred-million-cactus-league-funding/14103097/. Garofalo and Waldron, supra Note 2. Clifton B. Parker, Sports stadiums do not generate significant local economic growth, Stanford expert says, Stanford News (July 30, 2015), https://news.stanford.edu/2015/07/30/stadium-economics-noll-073015/. Saban Rent-A-Car LLC, et al. v. Arizona Dept. of Revenue, et al., WL 1279248 (Ariz. Ct. App. 2018). Kevin J. Delaney and Rick Eckstein, “Public Dollars, Private Stadiums” 1 (2013). Available at: https://books.google.com/books?id=vfbFbkbZ3GwC&pg=PA1&lpg=PA1&dq=1989+referendum+sports+referendum+arizona&source=bl&ots=1L8-XQkAnb&sig=GdPnJNm0yKMLDZwaTGWfYXscYLk&hl=en&sa=X&ved=0ahUKEwixm9nbl8jaAhVn2IMKHYRWAiw4ChDoAQg6MAQ#v=onepage&q&f=false. Harala, Larry, “Public finance of professional athletic facilities: Case studies in stadium and arena finance” (2000). UNLV Theses, Dissertations, Professional Papers, and Capstones. 663. Available at: https://digitalscholarship.unlv.edu/cgi/viewcontent.cgi?article=1664&context=thesesdissertations. Harala, supra Note 9 at 29. 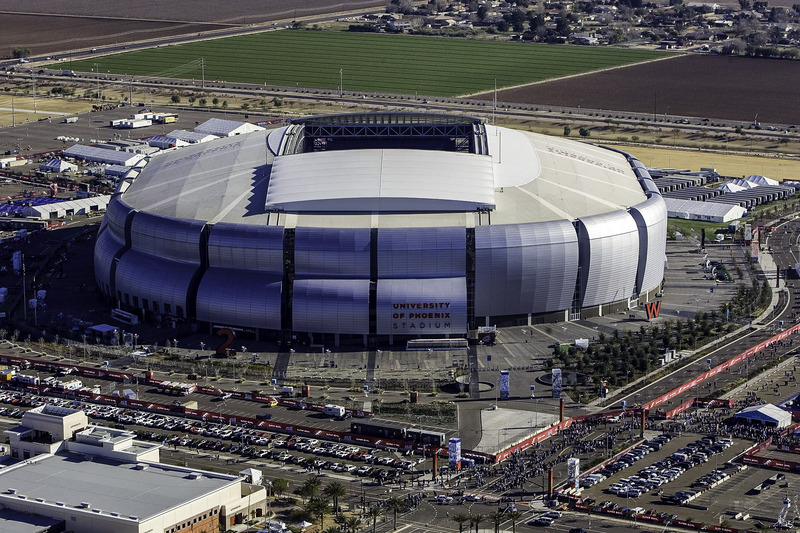 “University of Phoenix Stadium,” available at: https://www.sandiego.gov/sites/default/files/legacy/real-estate-assets/pdf/stadium/stadiumbackgroundarizona.pdf. Rebekah L. Sanders, Arizona Diamondbacks, Maricopa County may be close to Chase Field deal, The Arizona Republic (January 23, 2018), https://www.azcentral.com/story/news/local/phoenix/2018/01/23/deal-keep-arizona-diamondbacks-chase-field-close-maricopa-county/1054933001/. Gary Nelson, Mesa voters sacked Cardinals stadium, East Valley Tribune (August 28, 2016), http://www.eastvalleytribune.com/arizona/mesa-voters-sacked-cardinals-stadium/article_1e251074-6bdf-11e6-af49-efe21eb8486b.html. Long v. Napolitano, et al., 203 Ariz. 247, 251 (Ariz. Ct. App. 2002). Proposition 302 Voter Pamphlet (2002), available at: https://upload.wikimedia.org/wikisource/en/b/b4/Arizona_Proposition_302.PDF. Notice of Appeal and Complaint for Declaratory and Injunctive Relief and for Refund of Taxes Under A.R.S. § 5-839, Saban Rent-a Car, LLC, et al. v. Ariz. Dept. of Revenue, No. 1 CA-TX 16-0007 (2014). “Commerce Clause,” Legal Information Institute, available at: https://www.law.cornell.edu/wex/commerce_clause. See supra Note 24 at *4-11. Ariz. Const. Art. IX, Sec. 14. Saban Rent-a Car, LLC, et al. v. Ariz. Dept. of Revenue, WL 12738281 (Ariz. Tax 2014) (Trial Order). Peter Corbett, Judge: Arizona must refund millions from rental-car tax that pays for stadiums, The Arizona Republic (August 13, 2015), https://www.azcentral.com/story/news/local/arizona/2015/08/13/judge-arizona-must-refund-millions-rental-car-tax-pays-stadiums/31590919/. “$1.85 Million Verdict Against Car Rental Company for Defrauding AZ Consumers,” Arizona Attorney General (February 14, 2018), https://www.azag.gov/press-release/185-million-verdict-against-car-rental-company-defrauding-az-consumers. Darrell Jackson, Camelback Ranch impact comes up short for city, The Glendale Star (June 29, 2017), http://www.glendalestar.com/news/article_67490430-5ab4-11e7-a697-23f9f3e38c25.html. Perry Vandell, Once in danger of bankruptcy, Glendale nearing financial stability, The Arizona Republic (May 8, 2017), https://www.azcentral.com/story/news/local/glendale/2017/05/03/glendales-budget-path-financial-stability/307009001/. Jessica Boehm, Details of Phoenix Suns arena deal still cloudy, but its defeat is becoming clearer, The Arizona Republic (November 16, 2017), https://www.azcentral.com/story/news/local/phoenix/2017/11/16/details-phoenix-suns-arena-deal-still-cloudy-but-its-defeat-becoming-clearer/859158001/. 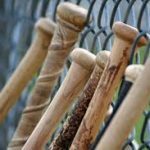 Sean Holstege, Diamondbacks versus Taxpayers: Nine Stadium Issues That Will Determine If the Team is Out, The Phoenix New Times (August 1, 2017), http://www.phoenixnewtimes.com/news/diamondbacks-want-out-of-chase-field-lease-seeks-185-million-in-repairs-9550164.